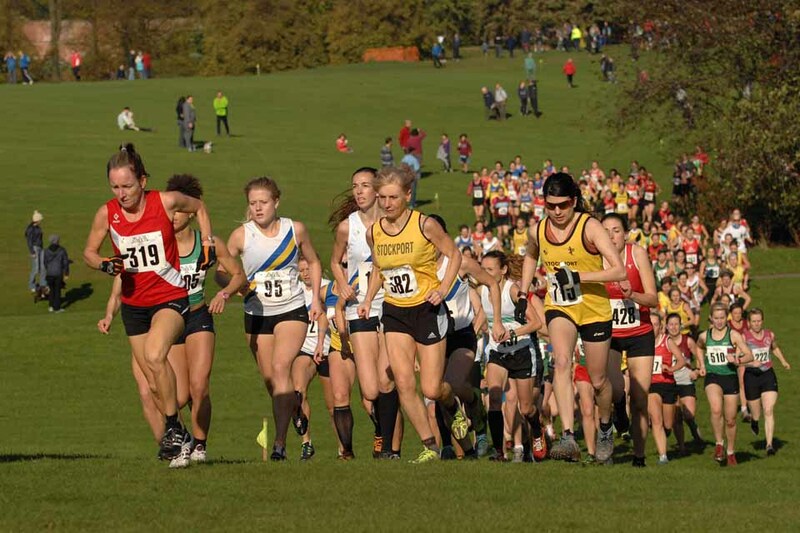 Manchester Area Cross Country League was established following the merger of the Manchester & District, The Cheshire and The North West Womens Cross Country Leagues in 2006. Click here for POST-MATCH FIVE UPDATE with stats from the final match at Wythenshawe Park plus lots more information. Click here for UPDATED [as of 12 Feb] JUNIOR ENTRIES, here for WOMEN’S ENTRIES and here for MEN’S ENTRIES. Click here for POST-MATCH TWO UPDATE with stats from the second match at Sherdley Park, news on entries, a grumble about the number of entries and re-issued numbers that had to be dealt with on the day, plus lots more information. Click here for PRESENTATION OF OVERALL AWARDS FLYER and here for MERIT AWARD FLYER. Please take the time to read the update and to look at the flyers. Click here for UPDATED [as of 6/11] JUNIOR ENTRIES (U11′s/U13′s/U15′s/U17′s), here for UPDATED [as of 6/11] WOMEN’S ENTRIES (SNRS/U20′s/VETS) and here for UPDATED [as of 6/11] MEN’S ENTRIES (SNR/U20′s/VETS). Click here for POST-MATCH ONE UPDATE with stats from the first match at Woodbank Park, news on entries, reminder about the team structure for seniors and vets and other bits of information. Please take the time to read it. Click here for JUNIOR ENTRIES (U11′s/U13′s/U15′s/U17′s) and here for WOMEN’S ENTRIES (SNRS/U20′s/VETS) and here for MEN’S ENTRIES (SNRS/U20′s/VETS). THE NEW SEASON STARTS ON SATURDAY THE 10TH OCTOBER AT WOODBANK PARK. THERE IS A CHANGE TO THE RACE SCHEDULE. THE UNDER THIRTEEN GIRLS & BOYS WILL RUN TOGETHER AT 12:15; THE UNDER FIFTEEN GIRLS & BOYS WILL RUN TOGETHER AT 12:30; THE UNDER SEVENTEEN BOYS & GIRLS WILL RUN TOGETHER AT 12:50. THE UNDER ELEVEN GIRLS & BOYS DON’T COMPETE IN MATCH ONE BUT WILL RUN TOGETHER FROM MATCH TWO AT 12 NOON. THIS IS A TRIAL CHANGE WHICH WILL BE REVIEWED AT THE END OF THE SEASON. THERE’S ALSO A CHANGE TO THE SENIOR & VETERAN TEAM STRUCTURE – see Season’s Details for full information. Click here for Season’s Details which include the new Senior and Veteran team structure. Clubs who affiliated last season will receive entry details with a list of those entered last season. Clubs should use that list to make their entries for 2015/2016. They will also receive an affiliation form, the Minutes of the AGM, the Season’s Details and an entry form for additional entries. New clubs wishing to join the League should complete an Affiliation Form and an Entry Form - click here for Notes. Click here for POST MATCH FOUR UPDATE - please do take time to read the update. It includes information about the awards, the presentations and the merit award and lots more. Click here for entries in ALPHABETICAL ORDER as of 31 January for U11 to U17 and here for WOMEN and here for MEN. Click here for entries by CLUB as of 31 January for U11 to U17 and here for WOMEN and here for MEN . PLEASE TAKE TIME TO LOOK AT THE NEWS FOR MATCH ONE WHICH GIVES INFORMATION ON WHICH CLUBS HAVE AFFILIATED, WHEN YOUR CLUB IS EXPECTED TO PROVIDE A VOLUNTEER TO HELP THE HOST CLUBS, SENIOR AND VETERAN DIVISIONS, WHAT TO DO IF YOU AREN’T ENTERED ETC. THEN LOOK AT THE ENTRY LISTS. IF YOU SEE ANY ERRORS LET US KNOW BUT IF YOU AREN’T ON THE LIST AND YOU WANT TO RUN CONTACT YOUR CLUB NOT THE LEAGUE. IT IS NOW CONFIRMED THAT THE FINAL MATCH DATE HAS BEEN CHANGED TO 14TH FEBRUARY 2015. APOLOGIES FOR INCONVENIENCE CAUSED. The list of entries will be posted on Sunday 5 October. Sorry for the delay. Individuals who want to know if they are entered before the list is posted should contact their club, not the League. BB 2/10/14. THE NEW SEASON GETS UNDER WAY ON SATURDAY 11TH OCTOBER AT WOODBANK PARK. THERE IS A CHANGE TO THE RACE TIMETABLE. THE UNDER 17 BOYS WILL RUN AT THE EARLIER TIME OF 12:50 PM (changed from 1:20 pm). THEY WILL RUN WITH THE UNDER 15 BOYS AND UNDER 17 GIRLS BUT WILL BE SCORED SEPARATELY. THIS IS A TRIAL CHANGE. IT IS MADE BECAUSE OF THE POOR SUPPORT THIS CATEGORY ROUTINELY GETS AND IT IS HOPED THAT, BY JOINING WITH TWO OTHER CATEGORIES, IT WILL GET MORE SUPPORT. THE CHANGE WILL BE REVIEWED AT THE END OF THE SEASON. 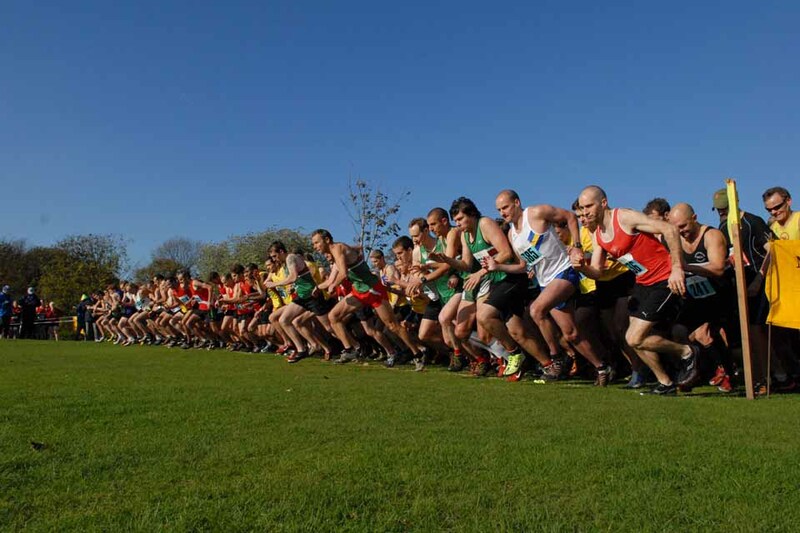 Click here for Season’s Details – 2014/2015 NB THE SEASON’S DETAILS WERE UPDATED IN OCTOBER TO SHOW CHANGE OF DATE FOR THE FINAL FIXTURE WHICH WILL TAKE PLACE ON SATURDAY 14TH FEBRUARY AT WYTHENSHAWE PARK. Below you’ll find notes about entering the coming Season, the Affiliation Form and the Entry Form. Clubs who affiliated last Season have been sent entry details with a list of those entered last season. Please use that list to make your entries for 2014/15. To view photos taken at Match Three click on this link Album is here. With thanks to St Helens Sutton AC for providing the photos. Updated entry lists will be posted tomorrow – apologies for the delay. The Provisional Results posted on www.race-results.co.uk will be updated very soon with corrections. If you have any queries about the results please contact Brenda Bradshaw (not race results) at email address arnoldbradshaw@btinternet.com. A list of entries will be posted mid-week. News about the presentation of overall awards will be posted soon. Please find herewith notes about entering the coming season together with the Affiliation Form and Entry Form. NB: All Clubs who affiliated last season will receive entry details early in September together with a list of all those entered last season. This list should be used to do your entries. 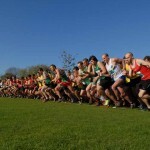 Click here for LIST OF ENTRIES – U11 to U17 & SNR U20 VET WOMEN – as of 10 Jan.
Click here for LIST OF ENTRIES – SNR U20 VET MEN – as of 10 Jan.
Click here for LIST OF ENTRIES – U11 TO U17 & SNR U20 VET WOMEN – as of 28 Nov.
Click here for LIST OF ENTRIES – SNR U20 VET MEN – as of 28 Nov. The following entry lists show entries as of 8th November 2o12. The changes made last season, which gave U11′s the opportunity to compete in four of the five matches and brought the start time of the womens race forward by 10 minutes, remain in place for the coming season. New to the coming season is a change to the scoring for veterans as each age group will be treated separately. Last season all veterans were treated as a separate race and the positions gained in that race were used. This season each veteran category will be treated as a separate race and the positions gained within that category will be used. Also new for the coming season is that Manchester Medical Services have been booked by the League to cover all five matches. Please find herewith notes about entering the coming season together with the Affiliation Form and Entry Form. NB: All Clubs who participated last season will receive entry details early September together with a list of all those entered last season. This list should be used to do your entries. Please find herewith notes about entering the coming season together with the Affiliation Form and Entry Form. NB: All Clubs who participated last season will receive entry details at the beginning of September together with a list of all those entered last season. This list should be used to do your entries. Notable changes to the Season: Under 11′s to compete in four events not three with their best three results to count [Events Two to Five]; Senior, Under 20 & Veteran Women to start ten minutes earlier at 1:40 pm. Any queries or corrections to the results should be directed to Brenda Bradshaw (not to Graham Fecitt) email arnoldbradshaw@btinternet.com.